Cotton Basic tee. 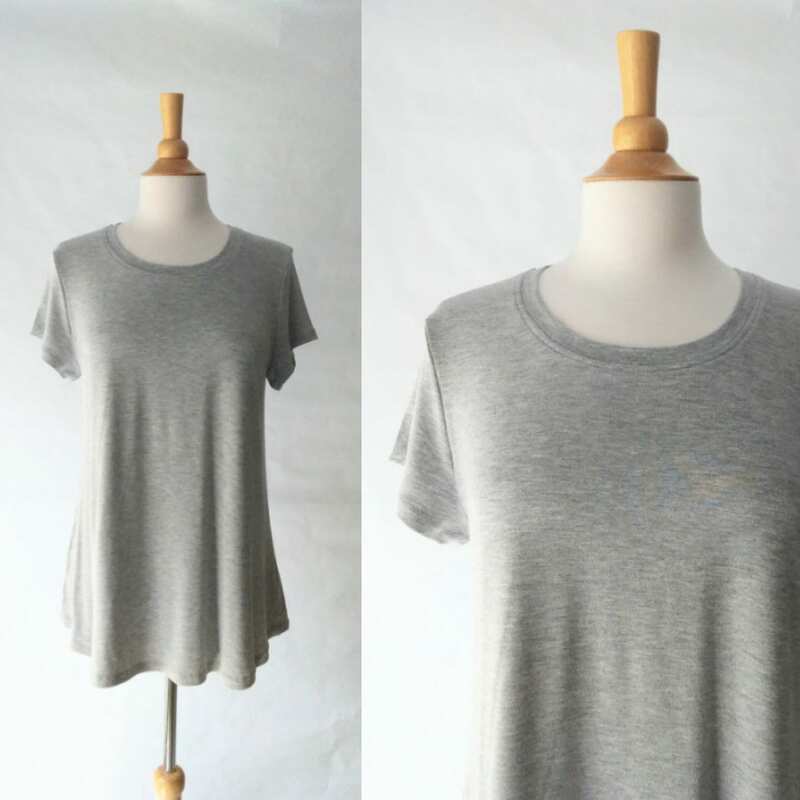 Basic short sleeve t-shirt. 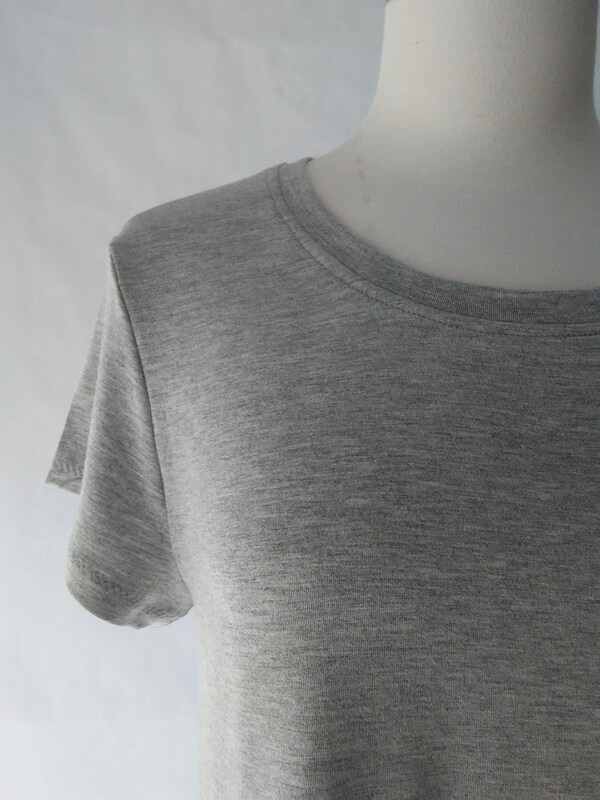 The fabric is a soft medium weight cotton jersey. 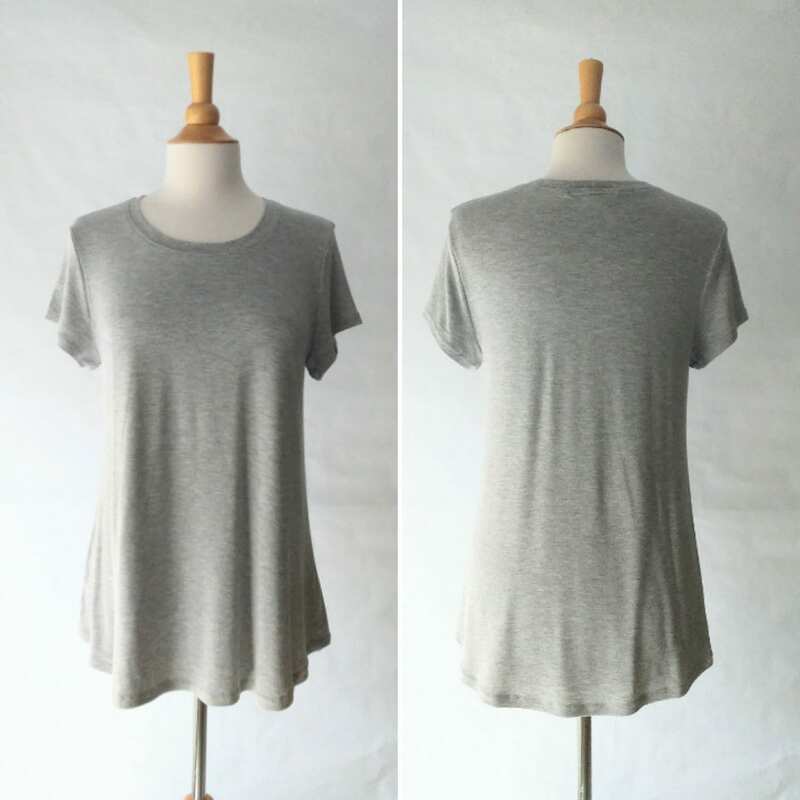 This is a nice basic loose fit high scoop neck swing top with short sleeves. The hem is a slight curve shirt tail hem. The fit is more fitted at the bust with a loose aline flare out to the hip. 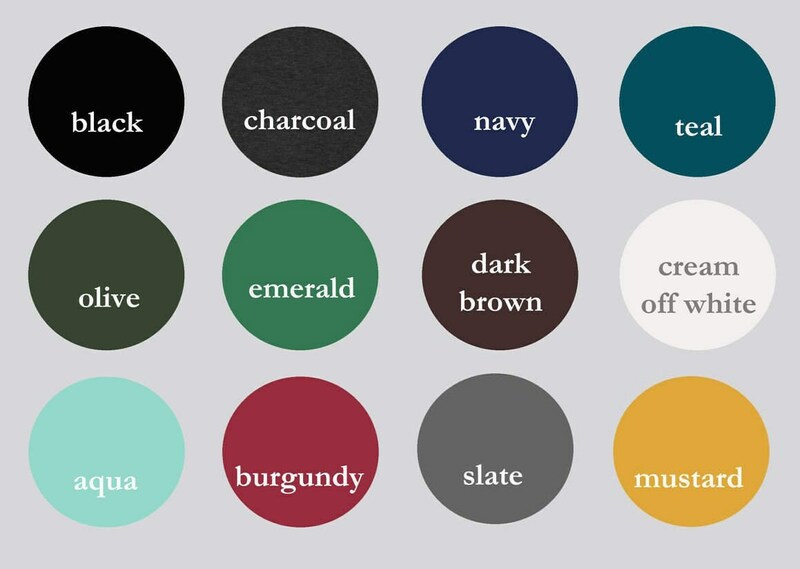 Color shown is Light Heather Grey.